Friday morning was pretty scary with bomb threats and campus wide evacuation at UT (we’re right down the street! ), so we decided to head south for a bit until more updates were released. Where did we go? Elizabeth Street Cafe of course! 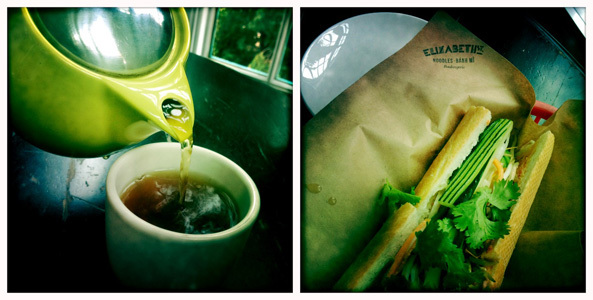 Nothing more perfect on a rainy, dark day than hot tea and Bánh mi.